The team at Rosalind Franklin reintroduced the waste streams to encouraged staff to recycle more. Recognising that recycling units in the corridors of Rosalind Franklin weren't being used as they should, the Analytics Team wanted to reintroduce the waste streams and encourage people to take the bins out of their office and recycle more. 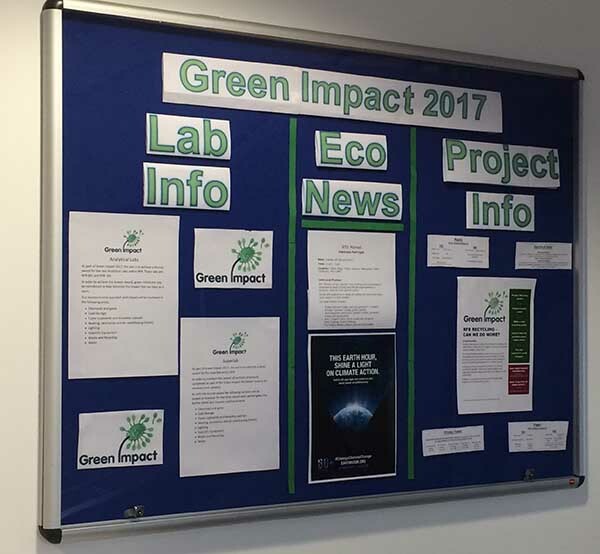 New notice boards were set up and emails to notify the building users were sent out. The team collected data from last year regarding the recycling rates and are looking to collect data from this year too for comparison. Going forward the team plan to analyse the data and identify strategies to encourage the building users to use the facilities efficiently.